Where's the contemporary middle grade feminist realistic fiction? Before the holidays, my supervisor asked me if I had any book recommendations for a friend of hers; the friend wanted to buy her daughter some great books for the holidays, but she wanted to make sure that they had strong feminist themes--good role models for strong girls, I believe is how she put it. "No problem!" 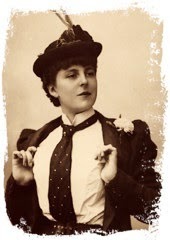 I thought; I'd check my go-to resource for such inquiries: the Amelia Bloomer Project lists. Some background: Each year, the Amelia Bloomer Project identifies a list of titles (as far as I can tell, they don't have a limit to the number of books they can recognize) that fit a few criteria: 1) have significant feminist content; 2) excellent writing; 3) appealing format; and 4) appropriate for readers of a young age. I completely trust the folks who serve on this committee, and I look forward to seeing the titles they recognize each year. Cut back to that readers' advisory request. When I went to peruse the past few years' Amelia Bloomer Project lists, I found something that startled me: there aren't very many contemporary realistic middle grade fiction titles on the lists. 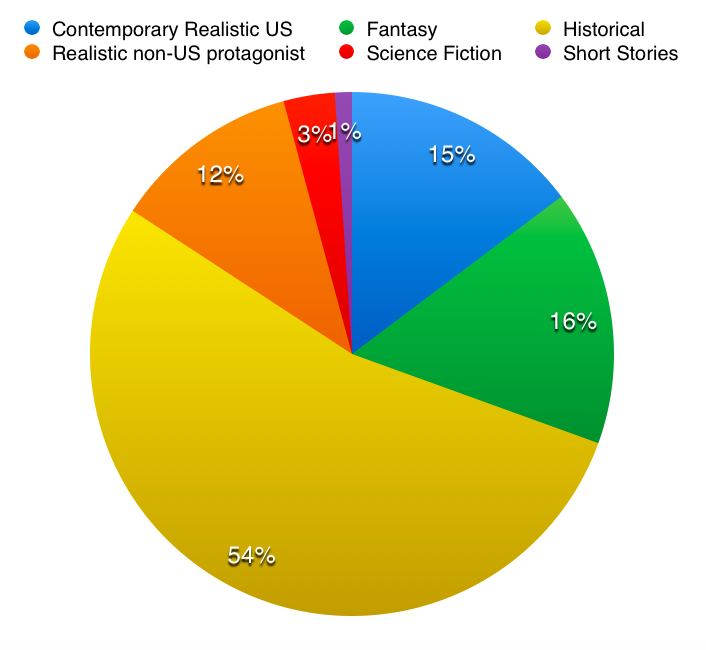 In fact, as I went back over the past 5 years of the award--during which time 50 middle grade fiction titles were recognized--only 6 titles could be classified as contemporary and taking place in the US. In other words, there weren't a ton of titles on the list for the girls* the award is meant to support that would reflect the everyday lives and situations they deal with. Frankly, this breakdown strikes me as problematic. As I said, I have total faith in the Amelia Bloomer Project's committee members to read widely and truly identify the titles in a given year that they believe fit their award's criteria. So if they're recognizing the great contemporary middle grade feminist realistic fiction each year, to the result of an average of 1 title per year, that leads me to believe that perhaps not a whole ton of the stuff is being written and/or published. That's a problem for me and, I would hope, other librarians and feminists, too. What does it do for the modern middle grade reader when the vast majority of great stories featuring strong girls are set in a time or place that is foreign--perhaps even alien--to their personal experiences of the world? That's not to say that historical fiction and fantasy don't have their merits, or that girls can only be positively influenced by stories filled with characters quite like them. But the relative absence of middle grade feminist books about everyday girls in everyday situations reminds me of how it's incredibly problematic that youth literature with black protagonists is more likely to be set during or before the Civil War (i.e., slavery) or during the civil rights era than to be set nowadays with black characters just being people. Strong feminists in historical fiction are great. So are strong feminists in fantasy, etc. They can be inspirational, no doubt. But the beauty of strong feminists in contemporary realistic fiction is that it shows how there are strong feminists in everyday life and everyday situations--from going to school, to participating in a sport or club, to interacting with friends, etc. I can't help but wonder if there's some unconscious connection between the phenomenon of young women saying they aren't feminists and the possibility that they most often see feminists as tied to a historical time and place that is no longer personally relevant. 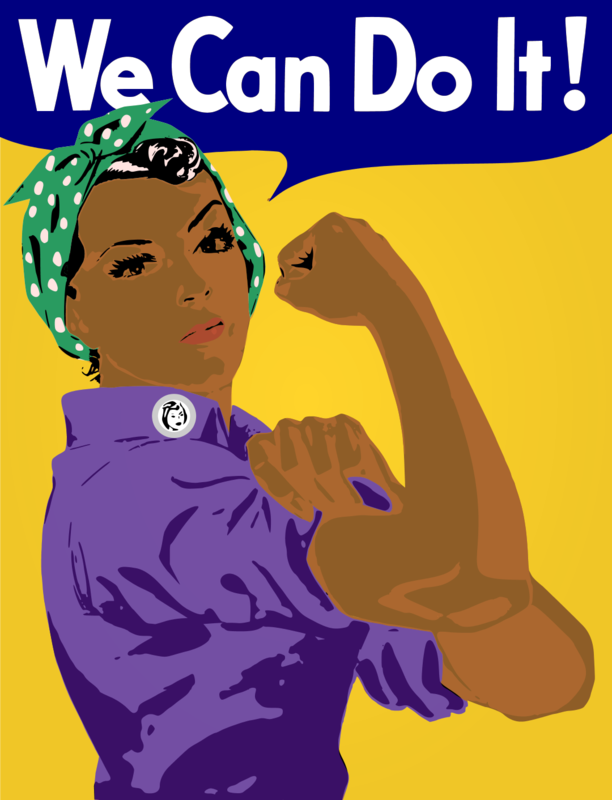 If we have more excellent contemporary realistic fiction with feminist themes for middle grade readers, today's girls--the ones in our libraries right this second--can see their strong feminist selves in the books they read. Not just the qualities that they want, or that they wish they'd have so they, too, could solve crimes with Sherlock Holmes/be strong during a fraught time in history/wield magic powers. But the qualities that they already possess and can put into use every single day. Because when it comes down to it, feminist values are not tied to a specific time or place. They are everyday. They have to be everyday. So writers, publishers, librarians, take heed: we need more contemporary middle grade feminist realistic fiction. Readers need it. Let's get it into their hands. And let's make sure it's intersectional, too. Every contemporary girl, regardless of race, religion, culture, or creed, deserves to see strong girls like her in the pages of the books she reads. Can we work on this, please? Have you ever hired a musician/magician/etc. for a preschool program, only to have some of the preschoolers trying to grab the performer's props while others wander at the back of the room looking for something else to do? It's a tough situation. And I hugely admire the performers who are able to smoothly go with the flow no matter what sort of not-ideal behavior is happening in the room. First, I opened the doors a few minutes before showtime and invited kids to stop first at a stick puppet station. I used die cut polar bears, popsicle sticks, and tape, and every kid got to make a quick puppet to hold on to for the duration of the program. Turns out, when kids have something to hold on to already, they're less inclined to try to grab the performer's props. Second, I had a memory game set up at the back of the room. I love memory games because you can modify them for pretty much every age--for 2s, it's about simple matching of face-up images; for 5s, it's a full-fledged game of concentration. I used this template to print, mount, and laminate my own sets of Frozen memory games. With the cards set up at the back of the room, the kids who became temporarily dis-engaged with the main program could briefly play a quiet, productive game before refocusing on the performance. Bonus: the Frozen theme, seemingly universally beloved, meshed well with our overarching Polar Bear Bash concept. Cold things, yay! The end result was a preschool performance with perhaps slightly fewer child-behavior-distractions than might normally occur. I'd consider that a win, especially with a pretty low-key investment in making the supplemental supplies. What are your strategies for making preschool performances go as smoothly as possible? 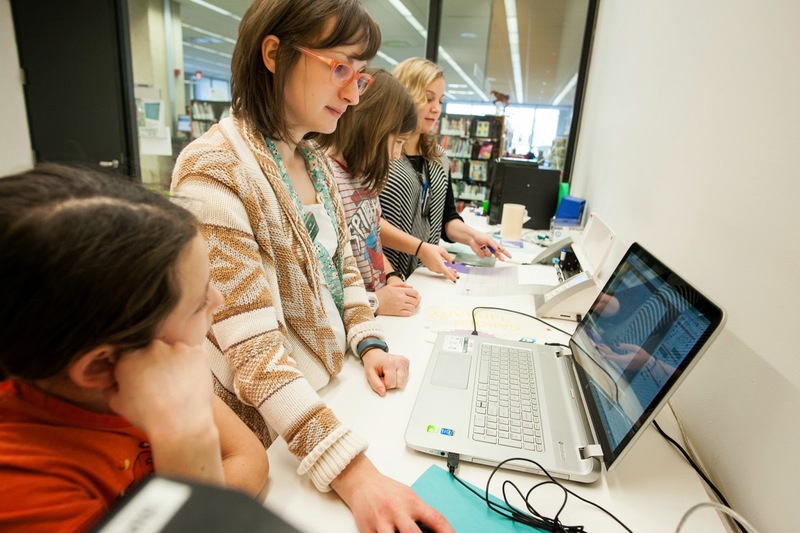 Just about two months ago, the newest learning space at Skokie Public Library opened: the BOOMbox. Day-to-day management and planning for the BOOMbox falls to Amy Holcomb, Experiential Learning Librarian. She was kind enough to answer some questions about the BOOMbox, the philosophy for the space, and what's taking place in the BOOMbox for library customers from grades 3 through adults. 1. What is the BOOMbox? The BOOMbox is a new STEAM space based on the museum concept of rotating displays but, in this case, rotating interactive STEAM learning experiences. 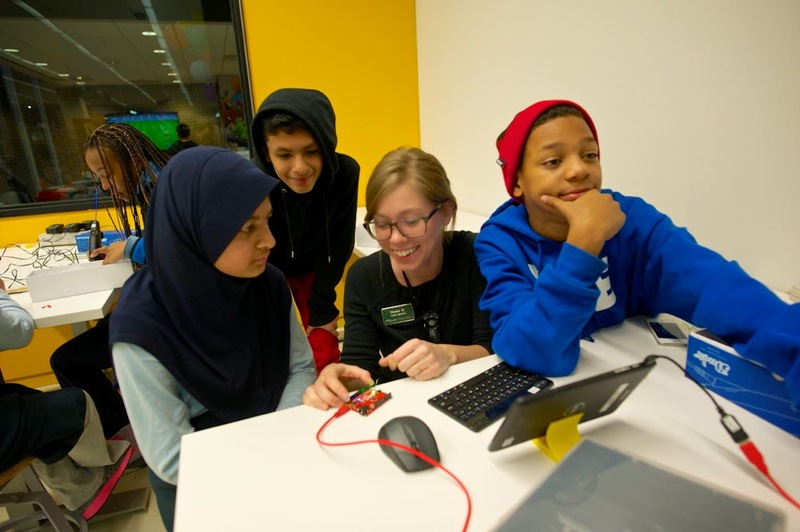 Linked with other library spaces like the Youth Computer Lab and the Craft Room, the BOOMbox promotes extended exploration of ideas and inventions through multiple mediums like 3D printing, hands on textiles, and digital art design. Activities largely use free software, which is also be available on PCs in the Youth Computer Lab, Computer Classroom, and the Digital Media Labs. The space will have quarterly themes, with Fabrication as the first rotation that runs through February. The BOOMbox is open four hours daily, mostly for drop-in use for youth (grades 3-8), high school students, and adults. Drop-in hours are defined by age group and are offered after school during the week and during the day on the weekends. Drop-in times are designed to promote self-directed exploration alongside mentor-facilitated learning. Weekly youth classes are offered on Tuesdays and bi-weekly adult classes are offered on Thursdays. 2. What was the impetus for creating the BOOMbox? The library’s high school district is well equipped with modern and emerging technologies. However, several feeder junior high schools are not. A major objective of the BOOMbox is to bridge the tech/info gap between the junior high and high schools. We want to expose kids in grades 6-8 to some of the equipment and software they will see when entering high school. We also wanted to improve their afterschool experience. The library is located across the street from one of the junior high schools and many kids frequent the library everyday when school is out. While pop-up programming in the Junior High Zone and access to the youth computer lab offer safe havens for socializing and, on occasion, educational entertainment, we wanted to expand our offerings for this age group. 3. What types of equipment are available in the BOOMbox? In the current Fabrication rotation, we offer access to popular makerspace equipment. This includes: two UP! 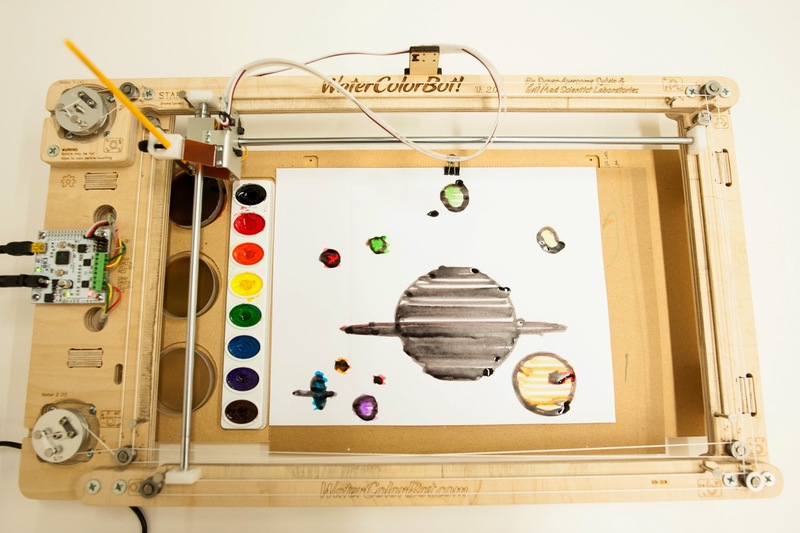 Mini 3D Printers, a Silhouette Cameo vinyl cutter, a WaterColorBot, an EggBot Pro, a classroom set of Arduino Inventor Kits, LEGO WeDo kits, MakeyMakeys, and ten 3Doodlers. In addition, we rotate in more traditional arts and crafts supplies for the ultimate maker experience. In future rotations will feature microscopes, telescopes, robotics kits, sewing machines, and much more. We will repurpose equipment like the 3D printers and vinyl cutter in other spaces before bringing them back for use in the BOOMbox. Other items from future installations, like sewing machines and microscopes, will circulate after their associated rotation. Supplement equipment like tablets and laptops will remain in the space full time for instruction, online tutorials, etc. 4. What types of programs and services is SPL offering in, and in conjunction with, the BOOMbox? Each rotation offers an assortment of programs and classes for the targeted age groups. The Fabrication rotation offers introductory programs to the makerspace equipment like the 3D printers as well as two-day immersive Boot Camp programs. The programs are designed to reflect connected learning concepts, where the staff member provides some structure but the activities are largely self-directed, have an option for extension beyond the space, and are social. Adult classes tend to be introductory. Moving forward, we’ll host MOOC study groups working off of classes provided by Coursera. Each rotation also offers a family program, dubbed Mission BOOMbox, that offers an engineering challenge related to the BOOMbox’s current theme [see our recent Family BristleBot Challenge]. In conjunction with the BOOMbox, Youth Services is increasing its STEAM programs by implementing pop-up programs for younger children who cannot yet utilize the BOOMbox, namely preschoolers. The Youth Digital Media Lab and Adult Digital Media Lab both continue to offer monthly instructional classes using maker-related technologies. 5. Who staffs the BOOMbox and its programs? Drop-in times are primarily staffed by two Hands-On Technology Mentors and our Dominican University intern. Mentors are hired for the rotation and are generally high school students with a strong interest in STEAM topics balanced with an interest in coaching and teaching users of all ages. Learning Experiences librarians primarily staff weekly programs for youth and adults. Librarians and library staff from other departments who have skills and interests in the rotations will also be teaching classes in the space. 6. What ages of library patrons can engage in BOOMbox activities? The Fabrication rotation welcomes patrons grades 3 and up. We have designated youth (grades 3-8) and adult (high school and up) drop-in times and programs. Future rotations will be open to to grades K and up. 7. What are some of your upcoming plans for the BOOMbox, both in terms of the space and programming? The next learning experience theme is Big and Small and will include scheduled programs, civic science projects, and self-directed activities focused on space concepts, mini computers, chemical reactions, programming, and a bunch of other, for lack of a better word, stuff. Drop-in times will have a much different feel than the Fabrication rotation. We’re also increasing our program offerings. Other planned rotations include Gardening, Textiles, and Robotics. And each rotation will have a different style of programs/classes and drop-in schedules. We’ve established a BOOMbox Advisory Committee comprised of youth and adult users, local educators, and staff to help direct future rotations and programs. 8. What advice would you give to a library interested in developing their own flexible STEAM space? The BOOMbox is a full time commitment with a considerable budget, but STEAM spaces don’t have to follow this model to be successful. I encourage starting small, using pop-up programming models that highlight STEAM concepts using readily available program materials. These activities mimic the learning experiences present in an official STEAM space. Libraries can gauge user interaction, gather feedback, and move forward to something more permanent from there. When determining which equipment to invest in, consider community needs and demand. Not every library needs a 3D printer, even if funding is available. I've shared professional resolutions here on my blog before. 2013 was the year of really ramping up STEAM programs and services. 2014 was all about storytime skills (new uke songs, flannel boards, and taking advantage of resources) until I changed jobs and didn't have regular storytimes anymore. 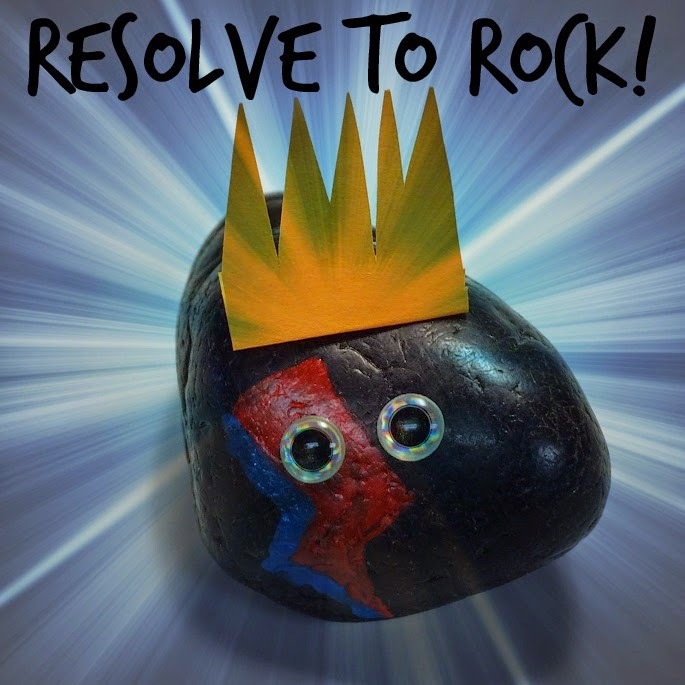 This year, I'm sharing my professional resolutions as part of the larger Resolve to Rock in 2015 initiative from Storytime Underground. I hope you'll consider sharing your professional resolutions for 2015, too! 1) Strive for balance. One of my responsibilities in my new job as Youth & Family Program Coordinator is to make sure that our program offerings for youth and their families are balanced. That means I'm looking at a range of factors every programming season to determine if our schedule is hitting the right notes: number of programs for age group, program type, grouping of programs around certain dates/weeks, etc. It's definitely a process to learn to be able to do this with any degree of finesse, but I'm making strides. I think I can also learn from this balancing exercise in other areas of my professional life, too. I need to balance projects so that I both get everything done but can put in enough time for the really great and impactful endeavors. I need to balance my professional reading so that I get a good grasp of the literature that's available now, but also so that I don't get burned out. Balance is important in so many aspects. 2) Ask more questions. Back in my old job, with a small branch staff but a huge and dedicated customer base, most of my job felt like maintenance mode--the wheels were in motion, and I needed to keep them in motion to ensure that the machine didn't come to a full stop. That meant always working on lots of things at once, doing them well but not necessarily having the time to step back, evaluate, and consider making changes. I can do that now in a standalone library with a great staff of people serving youth, and I need to take advantage of that fact. So I resolve to ask more questions, with the goal of programs and services having more intentionality behind them. Are we interested in trying a new program? What's the demonstrated need? What would be the optimal audience? How does it fit into, supplement, or replace something we already do? I can also think of lots of scenarios in my collection development responsibilities, too, where I can ask more questions for more meaningful practice and outcomes. 3) Get to a point where I'm weeding my collections for maintenance, not as a triage, panic-we're-out-of-room situation. This is a massive undertaking that I began almost as soon as I was hired, but I am confident it'll take me well into 2015 to get to a good spot in terms of collection maintenance. It's a lot of work, a lot of sneezing, and a lot of assistance from fellow staff and volunteers, but it's going to make these collections so much more wonderful to use. 4) Be more choosy, and give priority to the projects I really want to work on. This is a resolution for the personal side of my professional life--the projects outside of my day job. I'm historically not great at saying "no," and when it comes to my professional opportunities these past two years, I never wanted to say "no" out of fear of never being approached again. 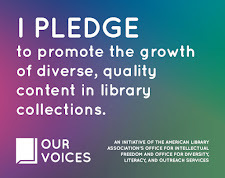 And while I wouldn't change any of the decisions I've made to this point, I do need to work on saying "no" so that I can focus on the things I'm really passionate about in librarianship. There's nothing worse than feeling like I have to do something I don't really want to because I made a commitment I didn't actually need to make. So I'm going to be deliberate about considering my personal professional priorities this year and perhaps say "no" more often to make way for more resplendent "yes" projects. These are my resolutions for this coming year. With the exception of my weeding resolution, they're definitely more abstract that years previous. But I think, as Lisa Shaia's blog post of sample resolutions indicates, as your time and position in this career grow and change, your goals for development grow and change, too. We'll see how it goes in 2015.